Please rest assured that your money is 100% safe. You have deposited it in the Paytm Wallet, not with Uber. It is Paytm’s responsibility to make sure that your money is safe. We are a RBI licensed Wallet and your money is protected under an Escrow account with a National Bank. This account is continuously under RBI supervision. Your balance in the Paytm wallet can be used at Paytm to recharge, pay your bills or shop online at Paytm or at 15,000 merchants online such as Book my Show, Zovi, YepMe, FabFurnish & many more. However if you are still unsatisfied, please write to us at care@paytm.com & we will be more than happy to help with transferring your money to your bank account. I have a Paytm Wallet Account already. Now what? I am not able to add Paytm Wallet to my Uber app on Android or iOS! I am not able to add Paytm wallet to my Uber app on Windows phone! Starting December 1st, Uber will accept payments only via the Paytm wallet to comply with the RBI regulations. Please add & recharge your wallet to enjoy uninterrupted access to the service. I seem to be blocked from Uber for some reason. Is my Paytm wallet also blocked? I am logged in to my Uber account but forget my Paytm password. How do I recover? Can I sign up for an Uber Account without having to give my credit card details? Do I need to add money to my Paytm Wallet to pay for an Uber ride? I am sure I have balance in my Paytm account, yet Uber is showing insufficient balance. What should I do? My ride costs more than what I have in my Uber Account. How do I pay now? I was adding money to my Wallet, it got deducted from my bank too, but does not show up in my Paytm Wallet balance. Uber has deducted extra money from my wallet for the ride, can I recover my money? Why was I blocked from Uber, when I have added remaining money back into my Paytm wallet? Please rest assured that your money is 100% safe. You have deposited it in the Paytm Wallet, not with Uber. It is Paytm’s responsibility to make sure that your money is safe. We are an RBI licensed Wallet and your money is protected under an Escrow account with a National Bank. This account is continuously under RBI supervision. You simply need to follow these steps here to link your existing Paytm wallet to your Uber App. I don’t have a Paytm Wallet Account. Now what? We hope you have followed the steps mentioned here. If despite this you are not able to add Paytm wallet to your Uber app, we recommend you re-install the Uber app from your App store and try adding the Paytm wallet again. This issue has been fixed in the latest Uber app update. The OTP never came. Please help! Did you check the email ID you have registered on the Uber with? If you do not see our email, then please also check your mobile for an SMS from us. It could be that you have used a different email and mobile number combination to register on Uber. Paytm will send the OTP to the email or mobile number registered on Paytm. I checked both my email & SMS, but the OTP still did not come. Now what? Please send an email to care@paytm.com right away and we will resolve this for you as soon as possible. I am confused about the phone number & email address. Help! Paytm Account holders using the same mobile number & email ID combination on Uber, will get this OTP on both email & mobile. But if the email-mobile combination is not the same, the OTP will go to the email or mobile – whichever is registered on Paytm. If you do not have a Paytm Account, do not worry, you can register through Uber App and you will get OTP on both your email ID & mobile number. You can use any of those two OTPs to link your Paytm Wallet to Uber App. Your Paytm and Uber accounts and hence their passwords are different. So you may not be able to login on Paytm with your Uber password. Please check your email for the “create password” link. Or you may also click on Forgot Password link on Paytm to access your Paytm account. No. Your Paytm wallet is very much open and waiting for you. Please just send an email to support@uber.com informing them about the problem, and they should resolve it for you at the earliest. Please make sure you mention your email and mobile number on it. I have received different OTP on my phone and mail both, which one to pick? Just pick any one! Both work. Try picking the one which you’d like to use as primary login on Paytm Wallet. I have not received the set password mail, can I log into Paytm Wallet without setting password? How can I log into Paytm Wallet without password? You would need to reset your password to login to your Paytm Wallet. Don’t worry, it takes a minute. Click on ‘Forgot password’ link at accounts.paytm.com and follow instructions. You don’t need a password to use Paytm Wallet on Uber App. Just link your wallet by entering the OTP and you are set. Yes! On the Uber App, you sign up using your email & phone number. On the second screen when it asks you to register with a credit card or prepaid wallet, please choose Paytm wallet and add money into it using debit card/net banking to take your ride. Yes! You need to have a minimum amount decided by Uber in your Paytm Wallet to pay for an Uber ride. You can add money using all credit or debit cards issued India – Visa, Master, Rupay, Amex, Diner and Netbanking option for more than 35 Indian Banks including SBI, HDFC, ICICI, PNB, UBI, Axis, YES, Kotak, Citi & more. How do I add money to the Wallet? 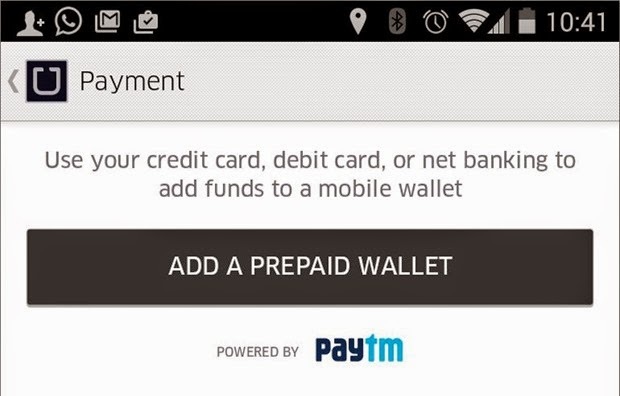 You can add money to your Paytm Wallet both inside the Uber App & online at www.paytm.com or through the Paytm App. Tap on Add money, enter the amount or choose from the options given & proceed to pay with your credit card, debit card or netbanking. Click on Add money to Wallet button & proceed to pay with your credit card, debit card or netbanking. Enter amount & proceed to pay with your credit card, debit card or netbanking. I am not able to see my saved cards in my Paytm account. Sorry about this! Please write to care@paytm.com immediately stating your email address & mobile number. No worries! Simply add money to your Paytm wallet as soon as you get to know about it. Uber will deduct the total amount as soon as you add the money. To avoid such hassles, we recommend that you keep sufficient money in your Paytm Wallet. We are so sorry you had to face this! Please let us know your transaction amount, email ID & Mobile number at care@paytm.com and we will fix this for you at the earliest. Can I use my Amex card to pay for my ride via Paytm Wallet? How can I use my money in Paytm Wallet besides paying for my Uber ride? Once you have money in your Paytm Wallet, added through your Uber App or Paytm, there is much you can do with it besides paying for your Uber ride. You can recharge your phone or DTH or pay your mobile, land line, utility bills or shop for millions of items at Paytm as well as outside at many online destinations. I participated in a Paytm promo that was supposed to give me cash back in my account. It never came! Please write to support@uber.com stating your email ID & mobile number, and Uber will resolve this this for you ASAP. I added a promocode that was to give me some amount off, but I did not get this discount in my wallet. What’s happening? Please do worry at all. 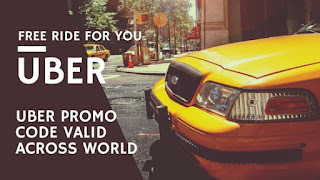 The discount will apply to your next Uber ride or the ride indicated in the promotion. Cash back goes to the wallet, but discounts apply on Uber rides. If you still face any issue, please write at support@uber.com. I can’t find now what was the promo code I had applied! How can I see it now? Don’t worry, please just write to support@uber.com stating your email ID and Uber will resolve this for you. I would like to remove my Paytm wallet from Uber, how to do it? We are so sorry to hear this! We hope you will give it another chance. However, please write to support@uber.com and they will fix this for you. You can also go on paytm.com/settings and revoke access from Uber App. Can I use the card I had already saved on Uber before? Unfortunately, no! Sorry about this inconvenience, but don’t worry, it would take a few minutes to save it again now on Paytm Wallet. Can I save a card on Paytm via Uber App? You can simply add money to Paytm Wallet using this card and click on the option of saving this card. Paytm will then save it for your future use. Now You can use airtel Money to book your ride on Uber, click here to know more.